“We need his phone, his laptop, and two external hard drives.” The exact intonation of these words from Payday 2’s mystery heist coordinator Bain have been burned into my memory since 2013, and with good reason. 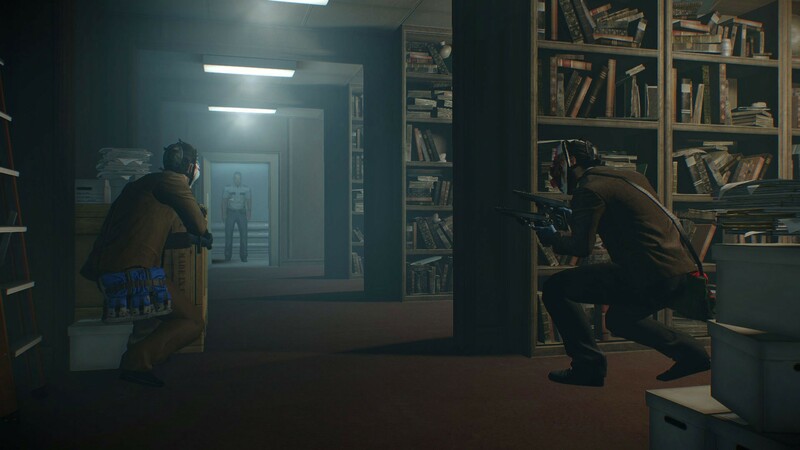 They’re heard at the start of the final mission of Framing Frame, one of Payday 2’s most demanding heists. After spending an obscene amount of time stealing prized paintings from a laser-laden art gallery, and fighting your way through a SWAT ambush in a derelict railway station, you’re tasked with stealing five tiny items, and after, looting a vault in a labyrinthian penthouse full of hired goons. The countless hours I’ve spent loading into this one small apartment complex is testament to Payday 2’s mastery of the cooperative ‘Friendship Test’. There’s nothing quite like the cocktail of adrenaline and frustration that is stealth gameplay in Payday 2. Guns-blazing evangelists receive only instant gratification as they light up the room, rather than the nuanced, hard-fought reward of a completed heist done quietly and quickly with friends. Payday 2’s class system is set up in such a way that you feel centred within your role in a meaningful way. In my group of friends, I play the Mastermind, whose abilities are based in crowd control. My role is to keep the punters placid via intimidation (hammering F to shout at civilians) and ensuring the crowd is under control while my comrades sneak in, place the drills, and provide the muscle. The tension, especially in a team of four human players, can almost be tasted. It seems to hang heavy in the air – as thick as the steel vault door you need to drill through – an overbearing responsibility for you to do your job efficiently. Unlike most other co-op titles, Payday 2 demands communication between your squad and actually affords you serious responsibilities that have ramifications for the entire team if you drop the ball. 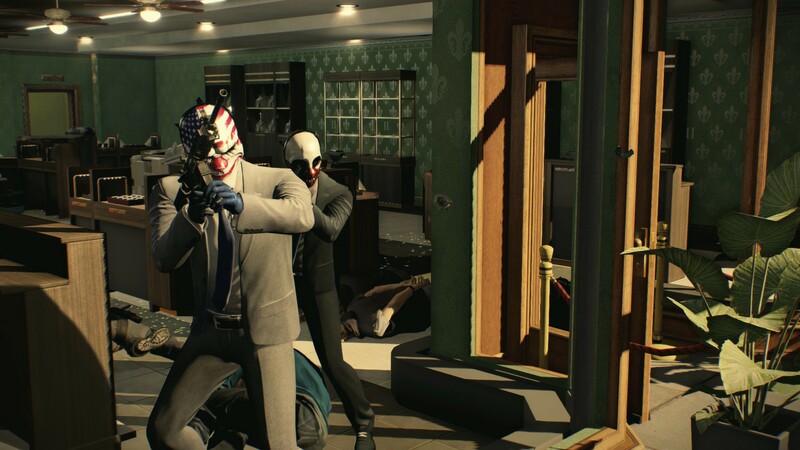 I’ve played a lot of co-op games that promise the world in this regard, but a paltry amount actually deliver, and even fewer manage to double down on it as Payday 2 does. It creates a unique, difficult experience that can appear like a brick wall before new players, as the only way to get past it is through genuine camaraderie. But once you do reach the sweet spot, your squad coming together like an orchestra, it’s unmatched. 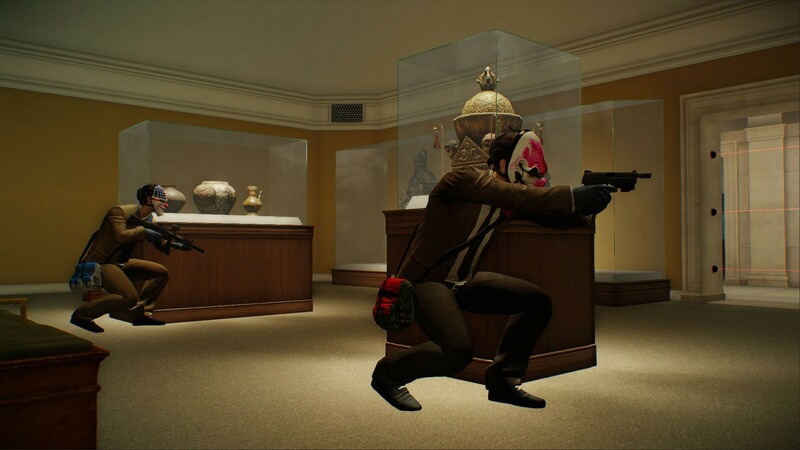 Like playing hide-and-seek as a child, Payday 2 sends butterflies flapping around your stomach when you’re hiding just out of view of the game’s tricky AI. Later, anxious fits of laughter barrel out of you when navigating tight corridors, urgently barking at your friends as a guard slides into view. Missions are never the same, as you start with small-scale diamond heists and work up to stealing supercars and rigging elections, each of them demanding you to surrender to spontaneity and rely on fast reflexes and even quicker teamwork. 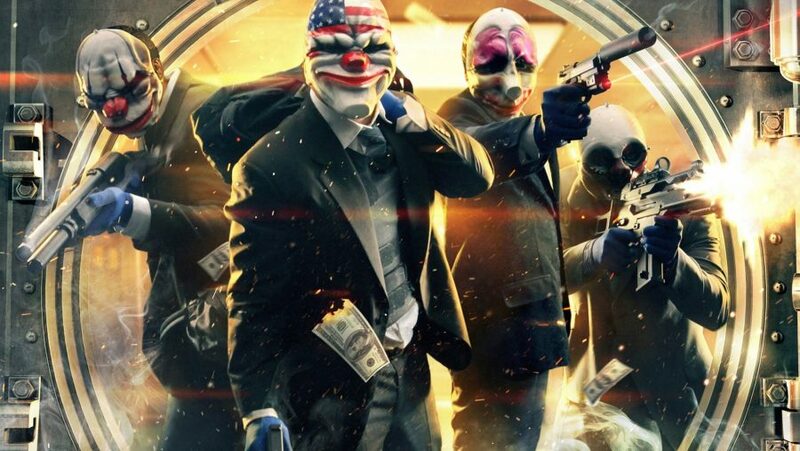 Payday 3 was confirmed to be in development by Starbreeze way back in 2016 when it bought the franchise back from 505 Games. However, the company’s Q1 2018 report doesn’t list the game among its 2020 “revenue generators”, meaning we’ll most likely have to wait until early in the next decade for next-gen heisting hijinks. Of course, there are the low points to contend with, too. I will never forget the day our Technician mistakenly threw our final essential loot bag into the air, pinning it to a TV aerial on the apartment roof, mere metres from the escape point. I’ll let you decide if we blamed the geometry issues or not. Other times, greed sets in and the team splinters over the decision to return for “just one more bag.” So tantalising is the promise of more paydirt that even the coolest of cucumbers can lose their heads, and when the pagers and body bags run out there’s no mulligan, no do-over. It’s a crushing return to a familiar splash screen in either shameful silence or unhinged babbling. I’ve had friends proclaim “never again” over hours wasted on a single heist, uninstalling the game and pushing it out of rotation for months, only to return years later when the ceaseless itch returns. Such is the power of a reliable co-op experience to have the scorned come back. The fact of the matter is that they can’t find the same victorious elation anywhere else. The most popular games in 2018 are keen to fire quick bursts of endorphins at us, allowing for speedy gratification in bite-sized ten minute chunks where you shoot first and ask questions later. I hope we don’t forget about the genres outside of battle royale, and lose appreciation for a hard-fought team victory against pernicious AI, one shared by friends laughing and joking their way to the bank. Payday 2 has created some of my favourite multiplayer memories, and serves as a reminder every time I go back to it that there’s a world outside PvP, one that promises cash, reputation, and hilarious hijinks whenever I need it.